The Communicator is a stylish 12 seater mobile, folding table seating unit designed to maximize capacity and visibility of all table diners to each other. The Graduate can be used to help take advantage of and give interest to the space design of a school dining hall. The SICO® Communicator offers very efficient storage capabilities. Less tables are needed to seat the same number of students, saving daily clean-up time and effort. The Communicator opens easily from the folded and locked positions. Simply press the yellow handle (located at eye level on both sides), which unlocks the latch, allowing the torsion bars to assist in lowering the table slowly into the open and set up position (no tools necessary). SICO® also offers a free space analysis to help determine space requirements for your tables. 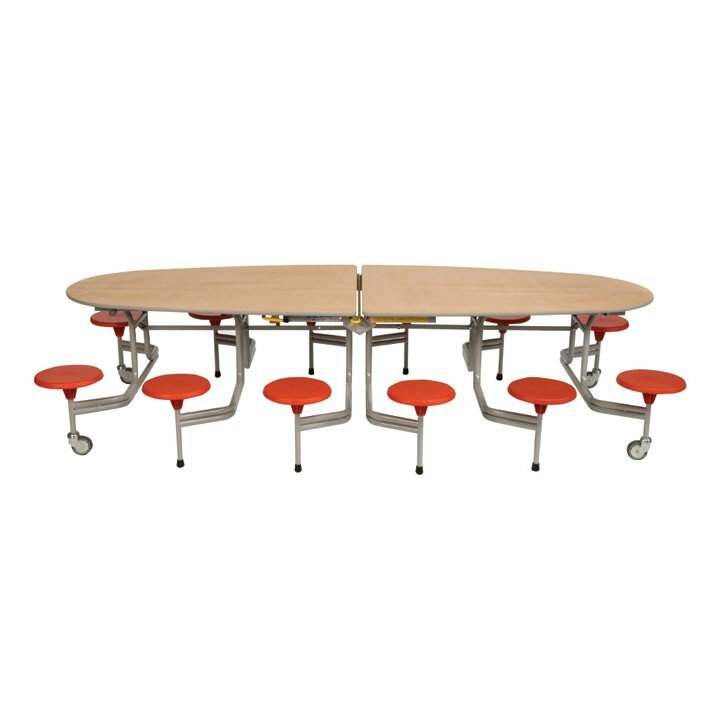 SICO® Communicator tables feature an attractive design and rugged construction that stands up to the hard use that comes in a school setting. With many laminate, top colours and seat colours to choose from, the SICO Communicator is an attractive table in any environment. The Communicator also features an MDF core, the unique Armor-Edge® coating to protect top edges, grey hard wearing powder coated legs, expansion rivet construction, and aircraft-quality locknuts and bolts that are tamper resistant and won't loosen. 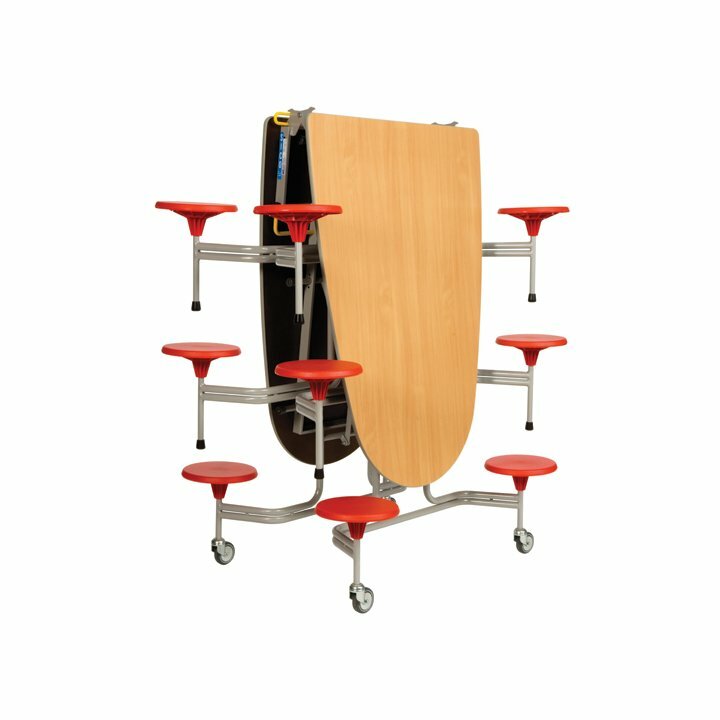 Unique elliptical table top to encourage greater pupil interaction during dining.